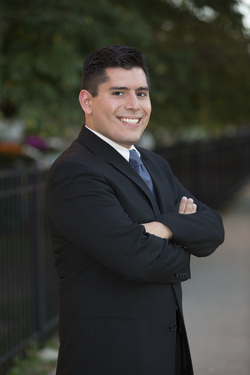 Alderman Carlos Rosa brought PB to the 35th Ward in 2015. Learn more about the ward, upcoming events, and past cycles below. The 35th Ward is located in Chicago’s Northwest Side. Pieces of five neighborhoods – Hermosa, Logan Square, Avondale, Irving Park, and Albany Park – make up the ward. The area is known for its independently-owned businesses and its status as a destination for food, art, and culture. It boasts a diverse mix of housing and family types and is serviced by the Blue Line El train and is bisected by the 90/94 expressway. The 35th Ward borders on three other wards that practice participatory budgeting: the 31st, 36th, and 45th Wards. During the 2017 PB cycle, the 35th Ward hosted 2 idea collection events. Community representatives worked with ward staff and city agencies to develop 4 ballot items, including street resurfacing. Voting took place from October 16 through October 31. 563 residents voted at the ward office, in the community, and online. View all four projects on the 35th Ward's English Sample Ballot here. ​When using graphics or data from this website, please cite UIC Great Cities Institute and PB Chicago.